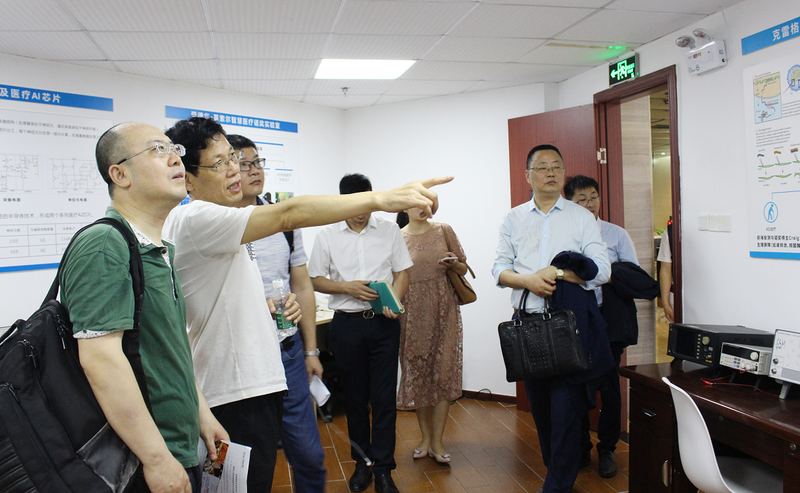 On April 10th, 2019, it was hosted by the Industrial Research Center of the Third Institute of China Electronics Technology Group Corporation of the Ministry of Industry and Information Technology, and was organized by E-Techco Group (Shenzhen Qianhaian Measurement and Measurement Technology Co., Ltd.) and Guanhu Street, Longhua District, Shenzhen. 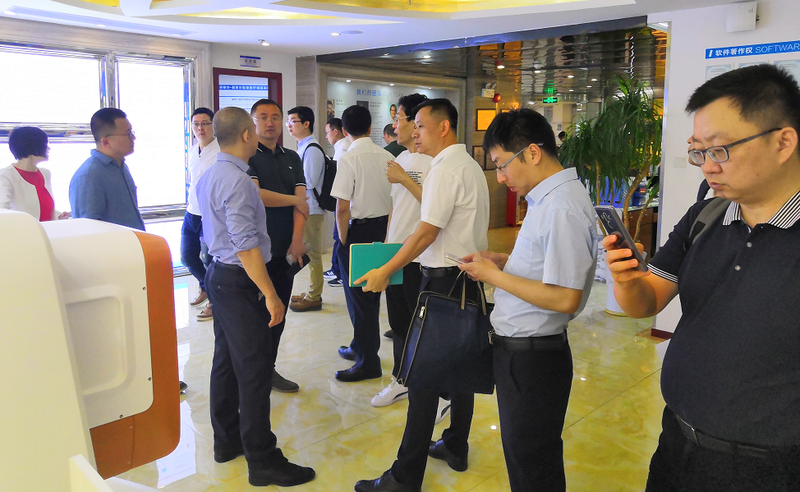 The third phase of the corporate activities of the Smart Health and Elderly Care Enterprise Club was held in the conference room on the third floor of E-Techco Group (Qianhai AnyCheck) headquarters of the Digital Technology Park in Nanshan District, Shenzhen. 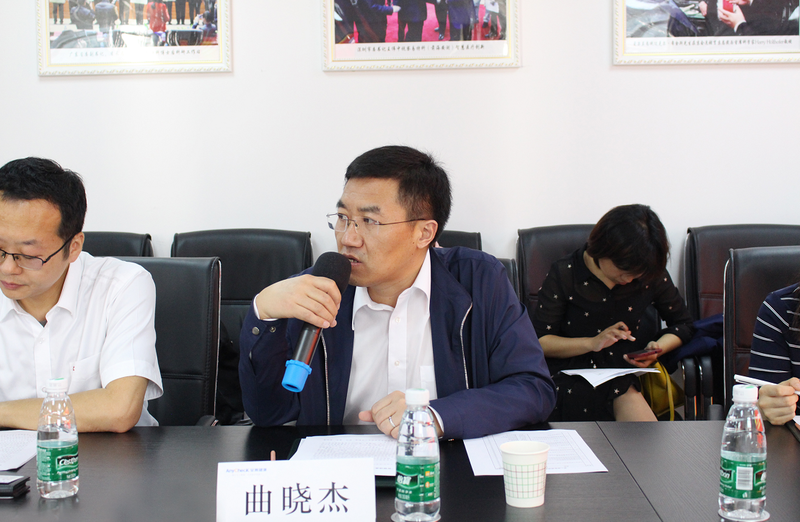 Mr. Qu Xiaojie, Director of the Consumer Electronics Division of the Ministry of Industry and Information Technology, Mr. Wu Wei, Director of the Industry Department of the Third Research Institute of China Electronics Technology Group Corporation, Ms. Ma Jing, General Manager of Guanhu Street, Longhua District, Shenzhen, and other Ministry of Industry and Information Technology, More than 50 people from the Ministry of Civil Affairs, the Ministry of Science and Technology and the National Health and Health Commission and representatives of the National Smart Health Entrepreneur visited E-Techco Group (Qianhai AnyCheck) to inspect and guide! 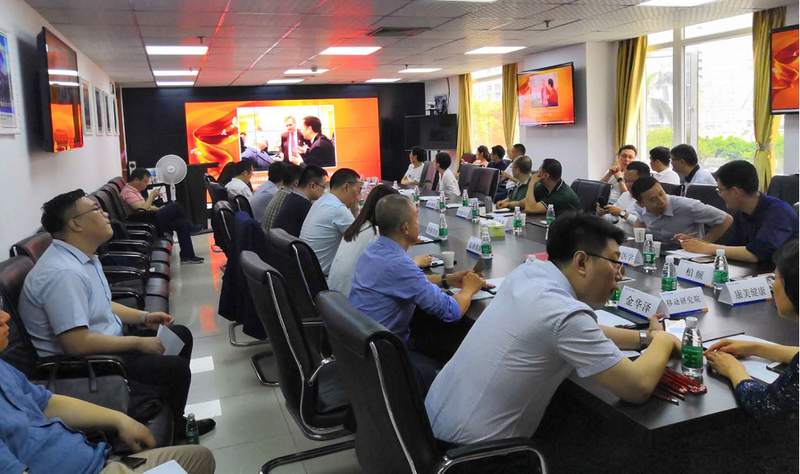 Entering the conference room, the leaders first watched the group corporate videos and learned about the group's development history and innovative ideas. 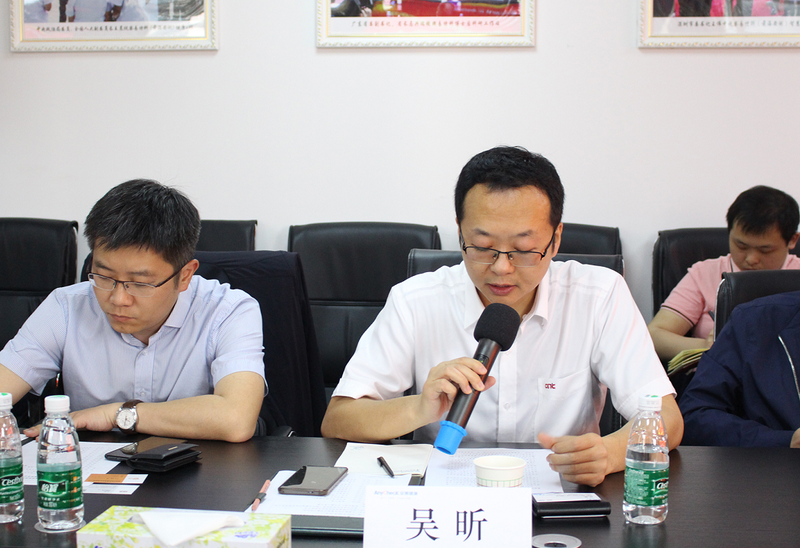 Mr. Zhang Guanjing, Chairman and CEO of the Group, introduced that E-Techco Group (Qianhai AnyCheck) is a smart medical high-tech enterprise specializing in life IT technology research and product development, dedicated to the most advanced artificial intelligence, big data and depth. 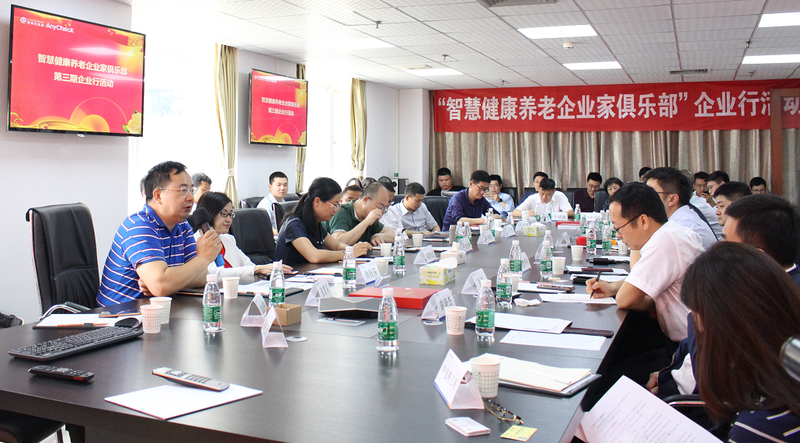 Learning and other technologies and products serve the medical informationization, health care industry, and realize the human health dream, E-Techco's Chinese dream. 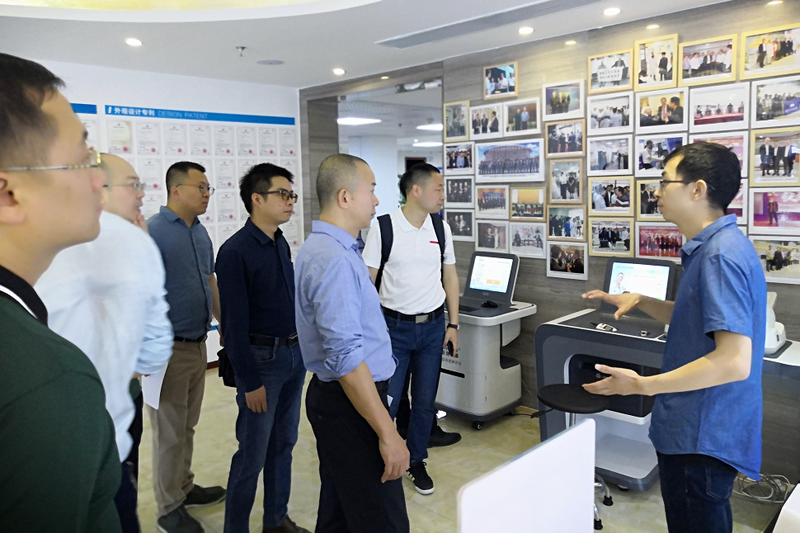 At present, E-Techco Group's self-developed products such as medical intelligence, medical information, health information, regional health information, intelligent testing equipment, etc. have been applied to more than 650 top three hospitals in more than 20 provinces and cities nationwide. 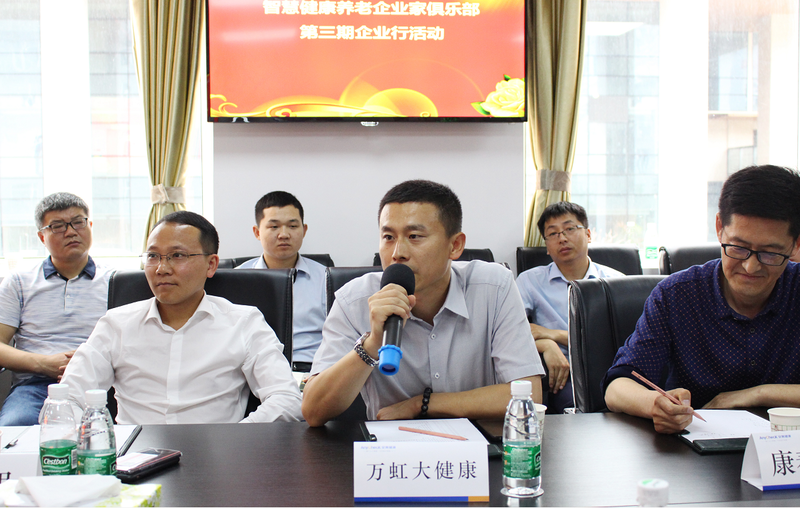 The dimethyl hospital and medical institutions at all levels; the group applies for/has more than 3,000 intellectual property rights. 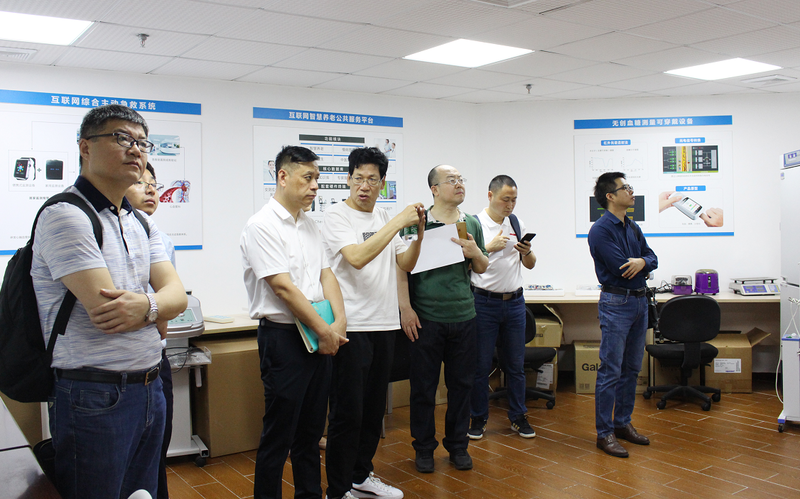 It is the top intellectual property enterprise of the country, Guangdong Province, Shenzhen, the national high-tech enterprise, and the top ten leading enterprises in innovation China. 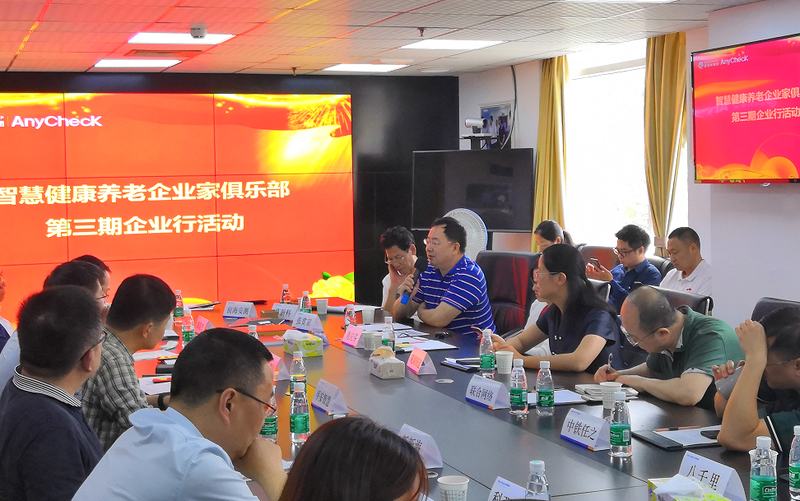 The group is working with the team of Nobel Prize scientists, the team of academicians and scientists, and the team of doctoral scientists to explore cutting-edge cutting-edge technology research and innovation in the field of “AI+Medical + Health + Elderly Care”. 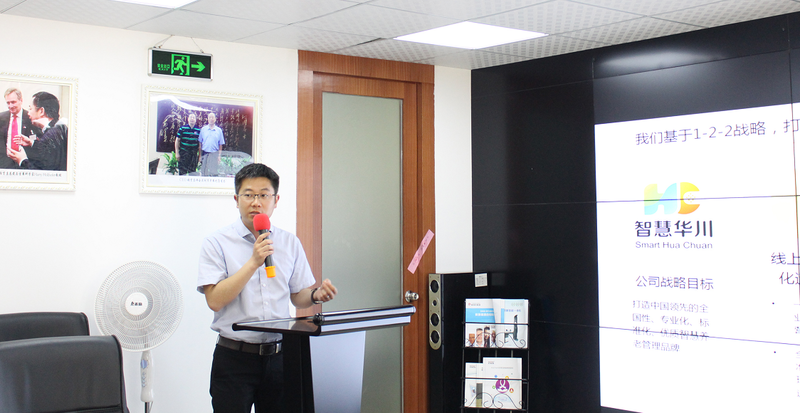 Director Wu Hao of the Third Research Institute of China Electronics Technology Group Corporation gave a welcome speech. 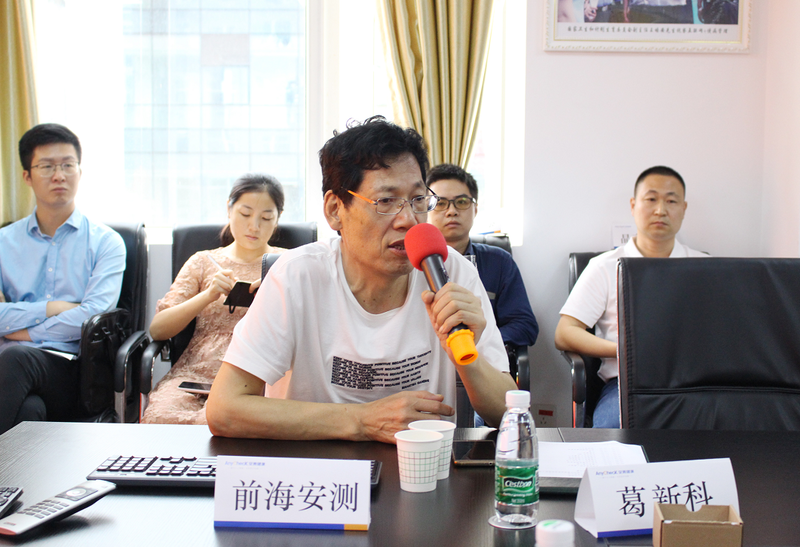 All entrepreneurs are welcome to participate in the third phase of the “Smart Health and Elderly Care Enterprise Club”, and hope to enhance mutual trust and wisdom through corporate alliances to help corporate health. 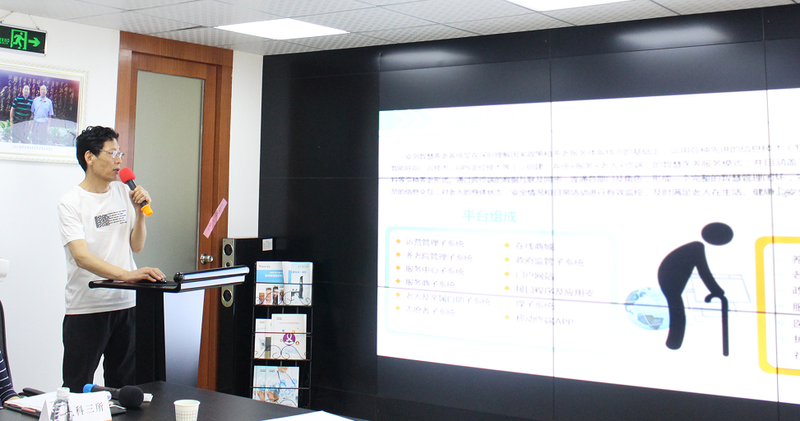 Development, a total of smart health care industry development! 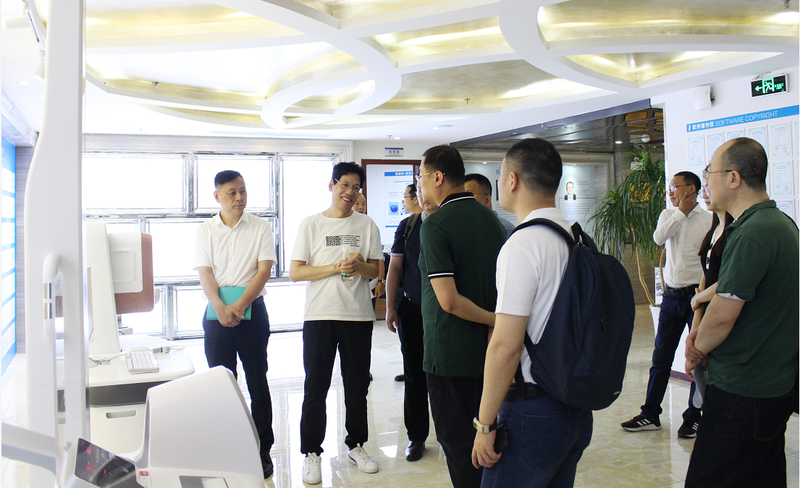 Mr. Zhang Guanjing, Chairman and CEO of E-Techco Group, first expressed his thanks and thanked the leaders of the Ministry of Industry and Information Technology, the Ministry of National Science and Technology and the National Health and Health Commission for visiting E-Techco Group (Qianhai AnyCheck) and the three departments of the China Electronics Group. 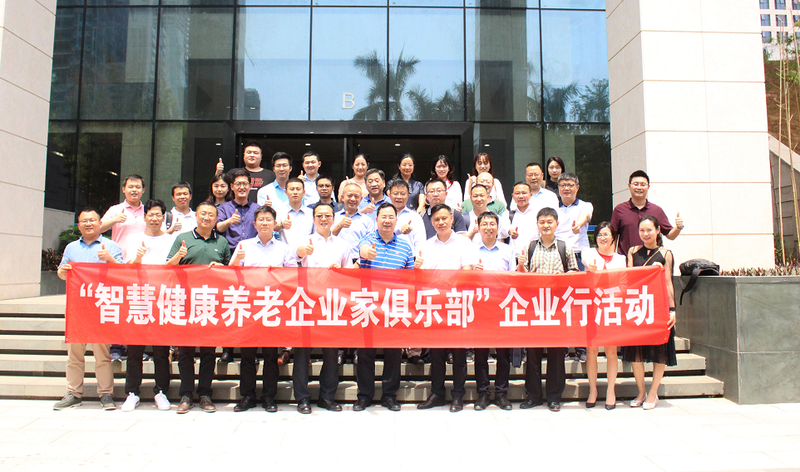 Cooperation and support, thank you for coming to our company to participate in the “Ministry of Health and Wellness Enterprise Club”, the representatives of 50 representatives from all walks of life! 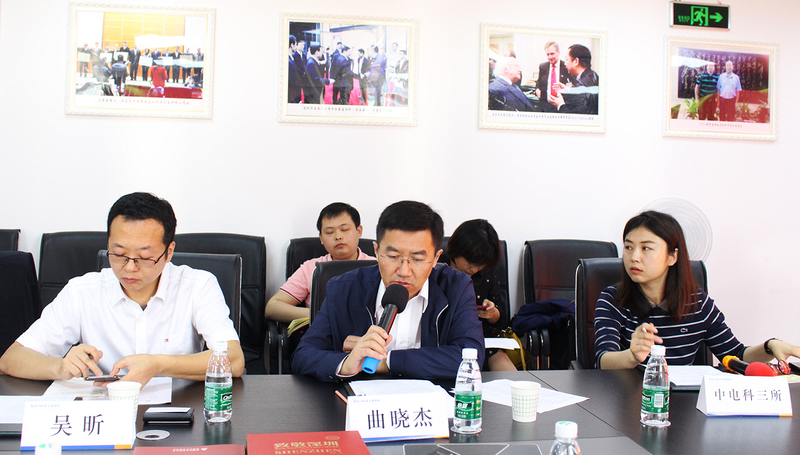 At the same time, it also said that E-Techco Group, as the organizer of this conference, will take this opportunity to strengthen the research and development of smart and healthy Elderly Care through the linkage of government and enterprise, open integration, etc., break through the core key technologies and promote existing medical care, health, and Optimize the allocation and use efficiency of old-age resources, meet the needs of multi-level and diversified health care services for families and individuals, and realize the "Human Health Dream, E-Techco's Chinese Dream!" 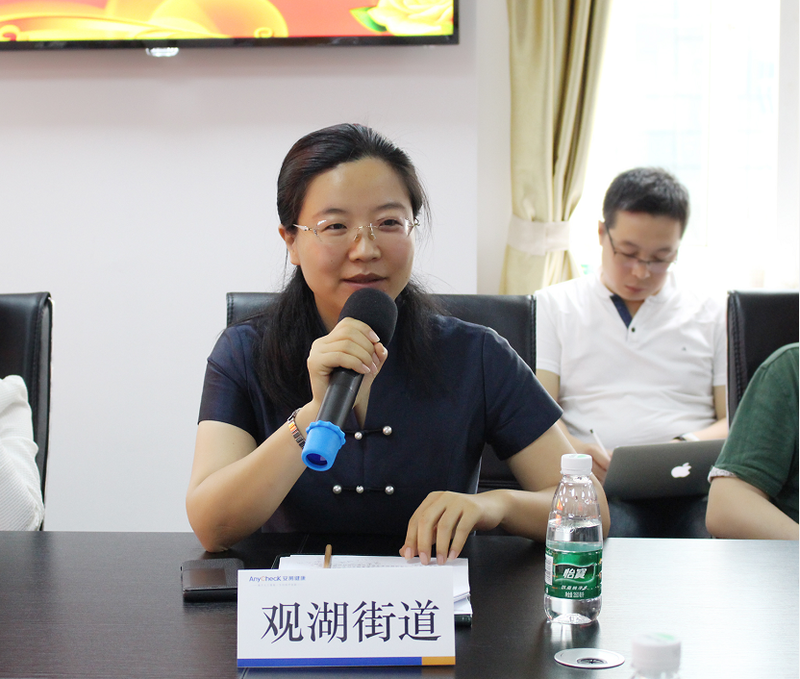 Representatives from Guanhu Street, Longhua District, Shenzhen: Practice the “Wisdom + Elderly Care” strategy and actively explore the new model of smart old-age care – the application of the wisdom and wisdom of the old cloud platform. 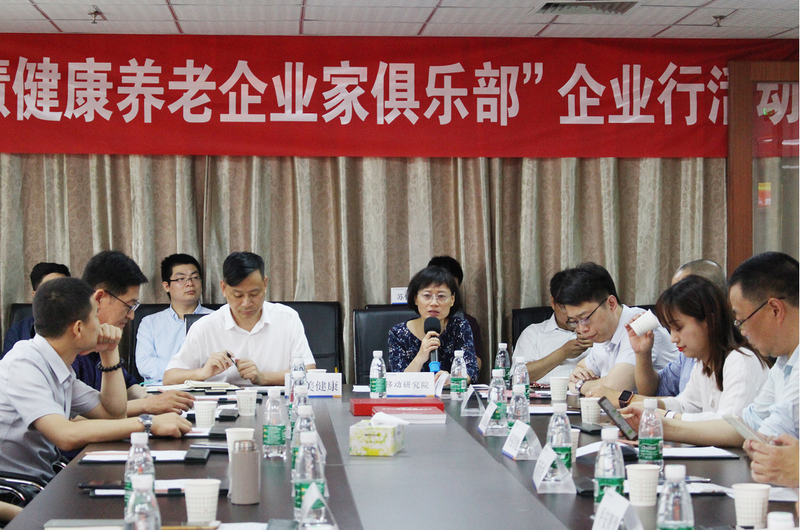 Under the support of Director Qu Xiaojie from the Consumer Electronics Division of the Ministry of Industry and Information Technology, the National Smart Health Entrepreneur Representative began to conduct in-depth exchanges and discussions on key issues such as the national smart health profile, industrial policies, and population aging response measures. 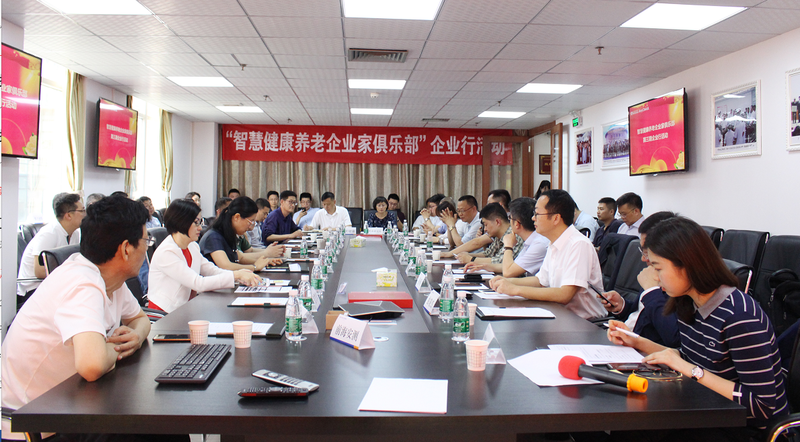 , to bring the atmosphere of the meeting to a climax. 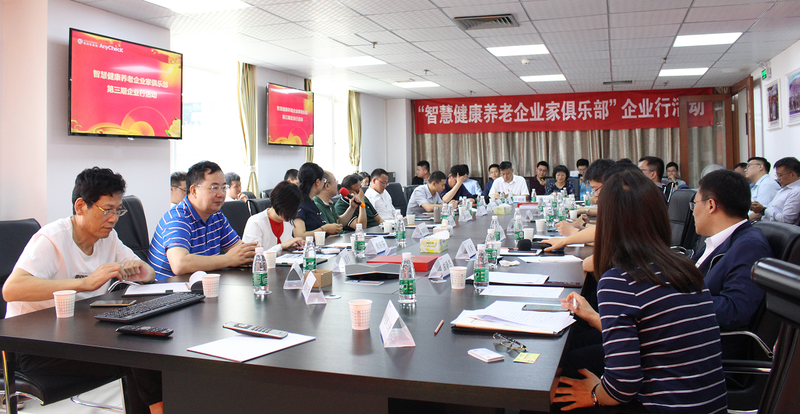 Through this third phase of the “Smart Health and Elderly Care Enterprise Club” business, E-Techco Group has learned from all levels of leaders and national excellent smart health companies to discuss smart health industry cases and strengthened the Group's efforts to promote healthy China. 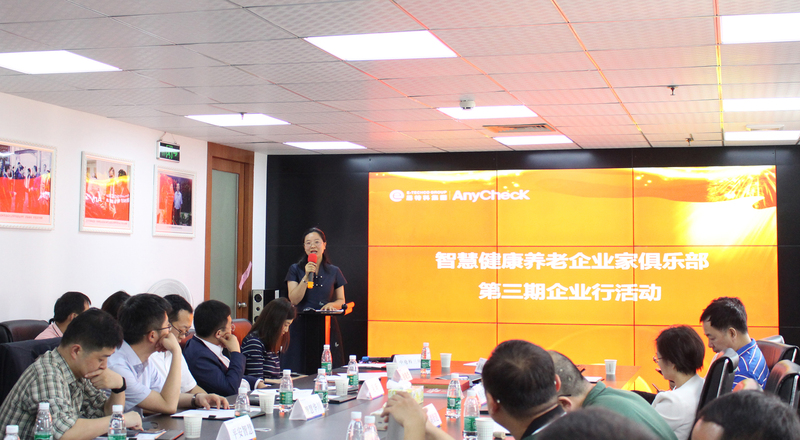 E-Techco Group (Qianhai AnyCheck) will continue to develop and expand the smart health industry with the continuous innovation ability, deep technical accumulation and high-quality customer service, with the development concept of planning and promoting the well-being of human health. Qu Xiaojie, Director of Consumer Electronics Division, Electronic Information Department, Ministry of Industry and Information Technology, Chairman and CEO of E-Techco Group (Shenzhen Qianhai AnyCheck Information Technology Co., Ltd.) Zhang Guanjing, Vice Chairman and MD Xiao Yingfen, CTO Ge Xinke, Chief Engineer Dr. Gao Weiming Dr. Zhang Hongzhi, deputy chief engineer, Wu Hao, director of the Third Research Institute of China Electronics Technology Group Corporation, Zhao Bo, director of the Industrial Research Center, consultant Zhou Wei, consultant Qiao Kai, regional general manager of Beijing Kangjia Technology Co., Ltd. Zeng Xiaofei, Wuhan New Gu Zhuoqi, General Manager of Xinhai Health Technology Co., Ltd., Bai Yuwen, General Manager of Shenzhen Kaierkang Intelligent Technology Co., Ltd., Ma Jing, Deputy General Manager of Supermarket General Manager Ma Jing, Shenzhen Longhua District (Shenzhen Houde Shijia Technology Co., Ltd.) Manager Hou Linhui, Chairman of Ningbo Keqiang Intelligent Technology Co., Ltd. Hu Manhua, Ping An Smart City Senior Product Director Yang Rui, Technical Expert Li Wei, Product Deputy Director Liu Bo, Kangmei Health Cloud Service Co., Ltd. Project Director Luo Wengao, President Assistant Xu Liying, Shenzhen Suren Smart General Manager of Technology Co., Ltd. Wang Feng, Jiang Yang Haifei, Vice President of Gai Rui Health Technology Co., Ltd., Xu Wei, Deputy General Manager of Huihua Huachuan Elderly Care (Beijing) Co., Ltd., Wang Ping, Assistant General Manager, Liu Yulong, General Manager of Liaoning Jinhuaze Information Technology Service Co., Ltd., and Sun Jian, Deputy General Manager Wu Yafei, Marketing Director of Anhui Jingqi Network Technology Co., Ltd., Cheng Weidong, Deputy Director of China Mobile Research Institute of Internet of Things, Fan Xiaohui, Deputy Director, Project Manager Luo Da, Marketing Director, Shenzhen and Hetai Intelligent Control Co., Ltd. Zhang Hongyu, Operations Manager Zhao Ziming, Assistant Director of Anhui Jing'an Health Industry Development Co., Ltd. Cai Mei, Chairman of Anhui Baqianli Technology Development Co., Ltd. Wang Jiesheng, General Manager of Guangzhou Baihao Information Technology Co., Ltd. Chen Zhen, Marketing Director Wang Jingyun, Shenzhen City Kangkang Network Technology Co., Ltd. sales Yang Jiafeng, China United Network Communications Group Co., Ltd. Unicom eSIM working group leader, GSMA eSIM standard leadership group member Kang Jianxiong, China Unicom Research Institute terminal center smart card team leader Qiu Jianshu, Beijing Huawei Dite Health Technology Co., Ltd Manager Shen Linmao, deputy general manager of Chengdu Quanshiyun Information Technology Co., Ltd. Jiang Li, Chongqing Zhongtie Renzhi Elderly Care Industry Co., Ltd. Executive Deputy General Manager Yang Bin, Vice Minister Ren Yongzhi, Henan Xiangyu Medical Equipment Co., Ltd. Administration Department Li Zhifeng, Fu Chunyuan, deputy general manager of Kangtai Medical System (Qinhuangdao) Co., Ltd., and Zhao Yunwu, general manager of Shenzhen Wanhong Health Industry Investment Co., Ltd. attended the meeting.